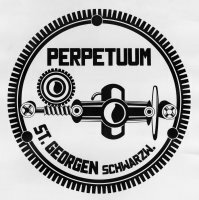 PE, short for Perpetuum Ebner, was a company in southern Germany. 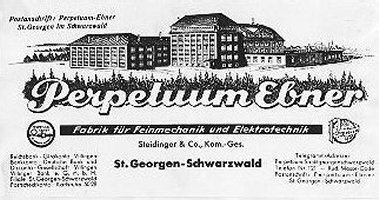 his new company Perpetuum constructed small spring and electro motors for the industry. 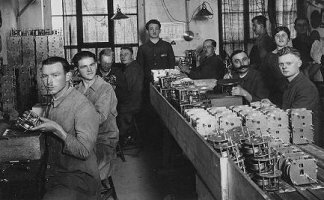 Later in the 1930's Perpetuum started to make recordplayers as they already made the recordplayer motors for the audio industry. 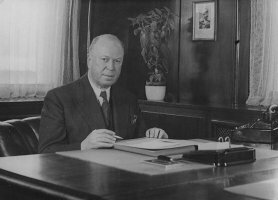 When Mr. Ebner took over the company in 1936, the name of the company was extended with his name. 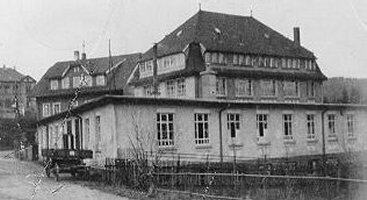 The company was extended and they started building modern products with as highlight the 2020 record-player in the 1960's. 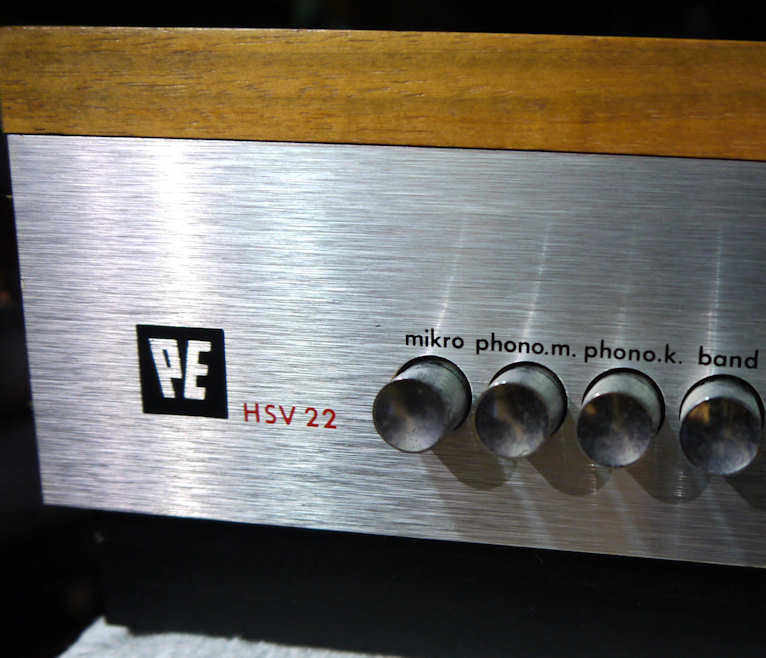 PE also started to make electronic gear as extension to their record-players, such as built-in amps and stand alone amps like the HSV 22. 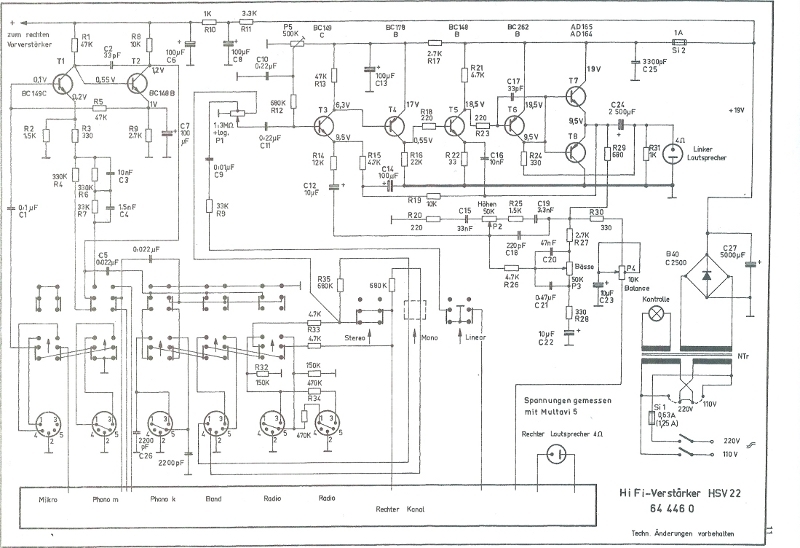 The PE HSV 22 amplifier is one early (~ 1964) solid state amplifier made in Germany. The PE HSV 22 amplfier produces 2x 6 Watts RMS and 2x 9 Watts Music power output at 8 Ohms. 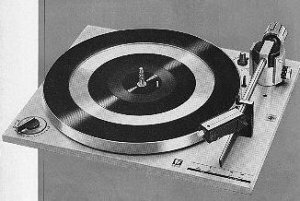 This electronic concept was later known as the "Luxman duo beta" concept. Service manual of the PE HSV22 in PDF click here. 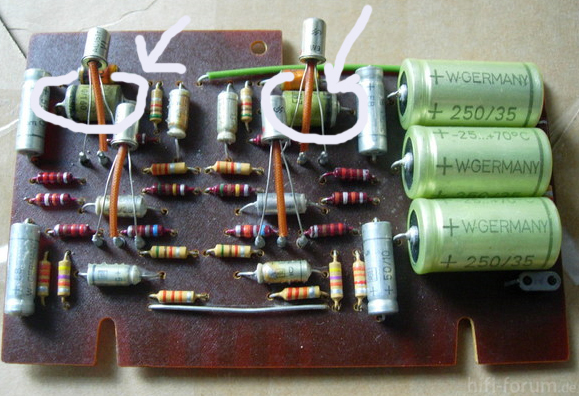 Exchange capacitors that do not meet the specs. 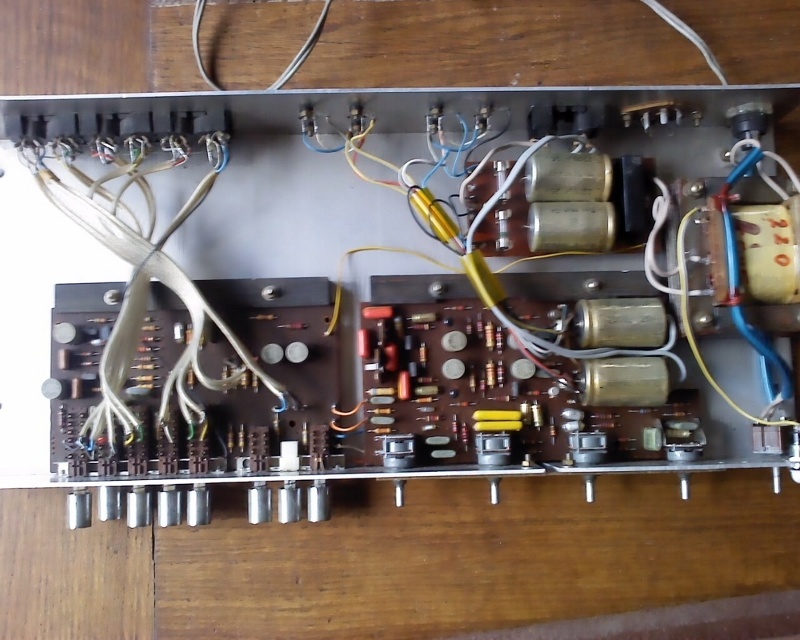 The transistors used are Siemens BC 14X series in the pre-amp and AC161/162 in the power amp section. 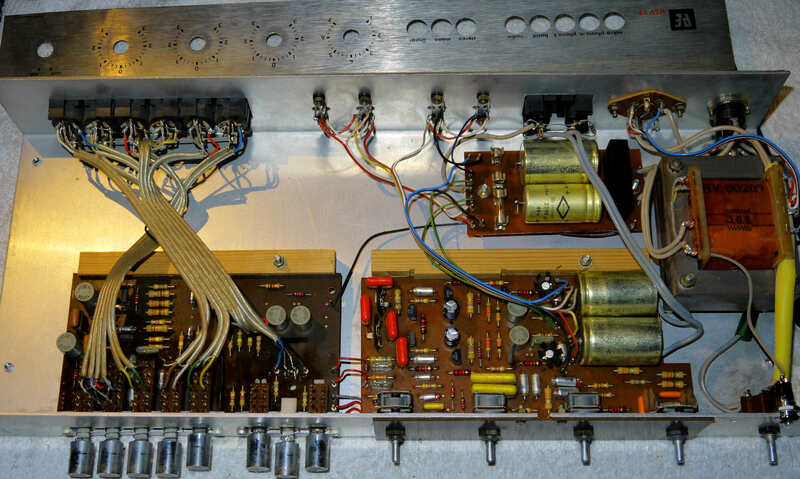 it is wise to exchange the BC148/9 with similar transistors like BC550/560 to get the amp quiet. The sound of the products of PE was good. Some PE's got legendary and were sold in high quantities at the time. 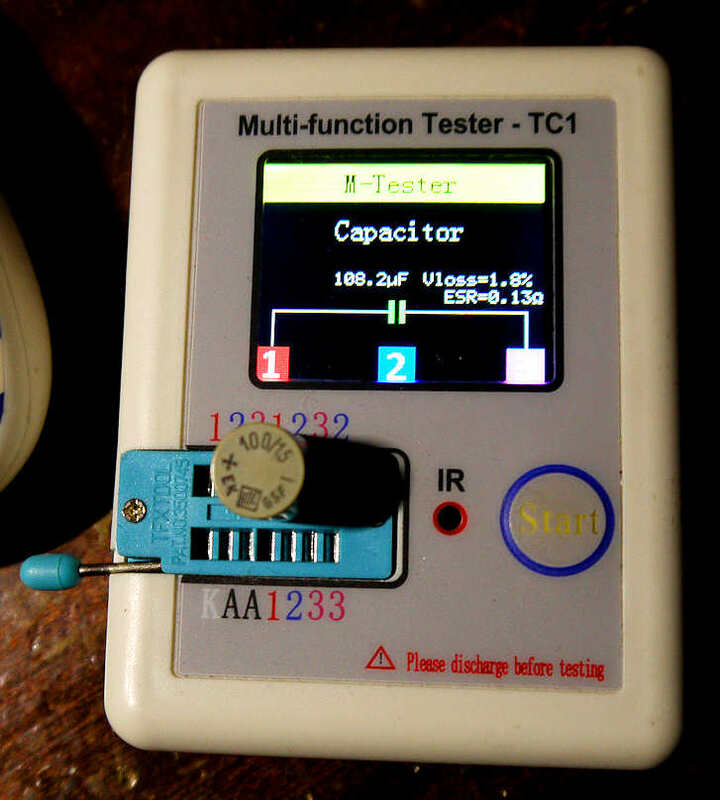 many products were made in this successful typical look. bought shares and later in 1972 the whole company when PE got into a ever weaker financial situation. 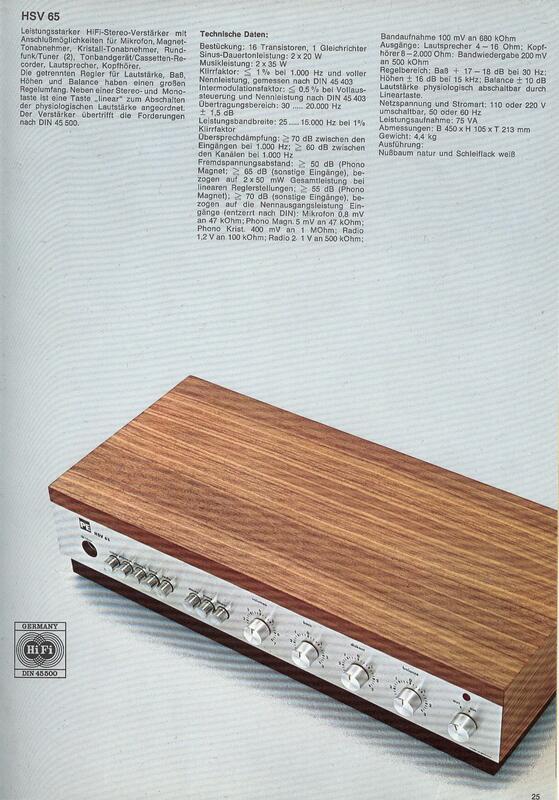 HiFi quality products from PE. © PE1MMK Hans Hilberink, last update: 15-03-2019.